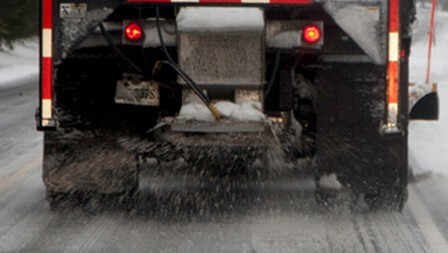 Salt remains the most cost-effective de-icing agent. It can be used for preventative purposes — for example, being applied prior to an intense snowstorm — or it can be applied to snow and ice to accelerate the melting process. Whether your needs are residential, commercial or public, Forest Contractors guarantees your property will be de-iced quickly and efficiently with our premium equipment, endless supply of salt and passionate work. We also monitor all surface conditions during storms and for several hours afterward to ensure total safety. Regardless of the amount of snow or ice your property has undergone, we have the tools and expertise necessary to keep it clean and safe throughout the winter season. 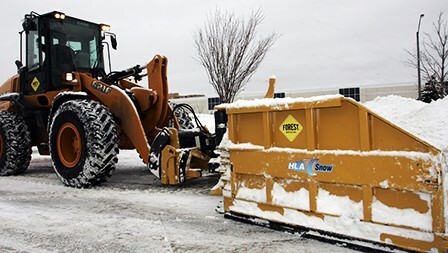 Our team uses a number of methods to remove accumulated snow with the right technical means. Snow banks cause havoc in parking lots and unsafe conditions on roads and pathways. A more effective way is to pull, haul and melt snow away at a designated location. We always select the most time- and cost-efficient method for your needs.